We deliver from our coving shop straight to your door. 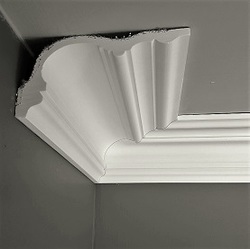 Here at Coving Shop Ltd we specialising in period plaster mouldings. We are the manufacturer and suppliers of premium plaster coving, plaster cornice, dados, corbels, ceiling roses and various decorative plaster mouldings to buy from stock. 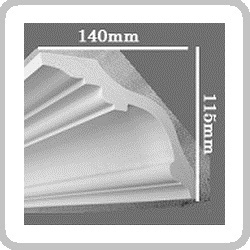 UK plaster mouldings manufacturer offering nationwide delivery straight to your door. Superior coving range, ceiling roses, dados, corbels and more. We deliver​ from our Coving shop to London, Greater London, Cuffley, Hertfordshire, Surrey, Essex, Kent and Brighton Hove. Plus to UK mainland by arranged delivery date. ​At Coving shop we guarantee quality and service. 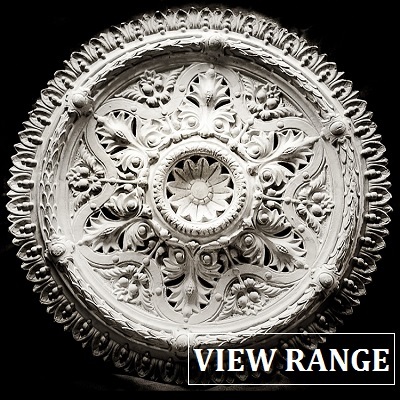 ​Our coving shop offers period Victorian ceiling roses, plain ceiling roses, and traditional ceiling medallions plus Georgian centres. We provide nationwide delivery with our own vans. With 35 years plus experience we can re-match any existing ceiling rose and plaster cornicing. 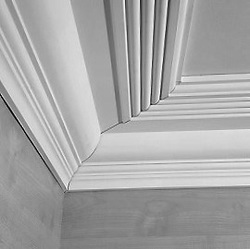 UK finest Victorian coving suppliers offering stately range of ceiling coving and classic plaster cornicing. Buy Victorian coving from the 1840’s to late Victorian era cornicing styles. 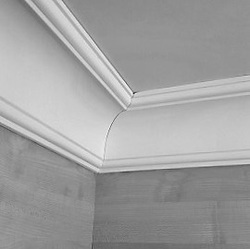 Premium plaster mouldings manufacturers in period decorative coving designs, made from traditional coving plaster, and with complementing dados and ceiling roses. Plaster Edwardian cornice Plaster Mouldings Victorian and Edwardian architectural detailing features like ceilings, cornicing, coving arches, carvings, and moulding, regularly depicted scenes from nature and were customary. You can easily integrate these UK Edwardian coving characteristics into your design that will completely change the appearance of your room. Taking a quick look to Victorian and Edwardian cornice. Victorian coving and cornice is used widely these days in new residences. 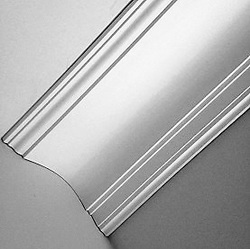 There are many unique Victorian coving and cornice layouts. However, the ceilings of UK Edwardian coving qualities brought themselves to grand and elaborate coving and cornice styles of all times. Many older properties have been left by the property development boom with exquisite mouldings with an enormous array of layouts of Edwardian cornice and plaster mouldings. 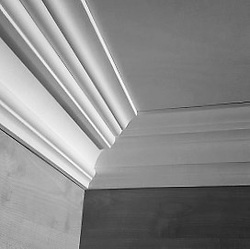 Besides coving cornice, we can assist you with Dado rails, Corbels, ceiling roses and columns. Ceiling roses and medallions. Ceiling roses are ornaments traditionally made from plaster which can be used to beautify the space encompassing a central ceiling light. They were typical vogue things through the Victorian and Edwardian ages, especially one of the upper crust where they were regularly used to fit a chandelier in a space using a tall ceiling. Ceiling roses along plaster medallions make the interior elegant that enhance the value of the house. Ceiling roses are created from plaster based product, nowadays. This makes them substantially strong and simpler to install. Ceiling roses along centre medallions provide a focus into a room and can be utilized to fit its contents. Yet, before you purchase one there are things that you must contemplate that might affect your decision like selection of ceiling rose supplier and choice of material. The plaster materials used for ceiling roses and medallions plays significant role to add an eye-catching beauty to your interiors. "Dear Ange, I have to say, that your service is absolutely amazing. I can not believe that my item has arrived within an hour of paying for it. I don’t know how you do it, but you will be my supplier of choice. 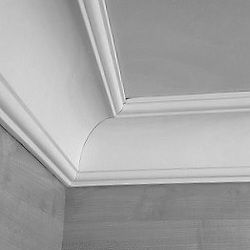 Also, delivery man with a smile :-)) Kind Regards, Helen - London SW5"
If you are looking for specialist plasterers to replicate original plaster cornice/coving here at coving shop we specialising in period situ plaster work. The process is as follows: Step one is to copy your existing original plaster mouldings and produce what is need in our workshop to proceed with installation as well any other plaster work to the final touch. The finish product will match your existing mouldings as it was done hundreds of years ago. The cornice design of dental coving and the egg dart coving originated thousands of years ago. 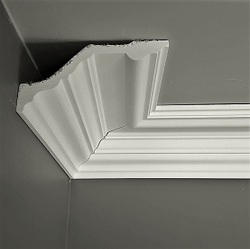 Those fine curved dentil plaster cornice styles appeared in UK from the Georgian era and we see it in studies, libraries and profession offices, as the egg dart plaster cornice (very popular in Italy) and later in the UK survives in period properties nicely in reception rooms like living room dining room and more. When the dentil design is attached with the egg dart it symbolises love and pureness. Also this amazing plaster cornice styles appears to be shared in late Victorian properties well known as decorative crown plaster moulding. 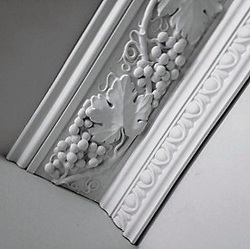 Vine grape Authentic Grand Victorian coving with egg dart architrave. With projection to the ceiling 260mm and 120mm down wall. This original and authentic copy by Décor mouldings Victorian coving dated in late 1860's. Stately Victorian plaster cornicing with enriched grape vine and egg dart carvings. At Coving Shop we built our business behind the traditional ways of hand making plaster mouldings while purifying the process in which it’s presented. The quality of our carving is our biggest asset as our talent defines us as who we are and what we do! We possess the ability to produce bespoke plaster mouldings that create the intelligence of hand-made quality. Bespoke plaster mouldings can be a very difficult process in terms of the amount of steps it proceeds, but once completed, produces a stunning effect. 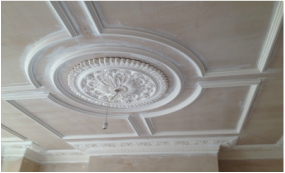 We supply hand crafted plaster products with range of period plaster coving mouldings cornicing and decorative plaster works. 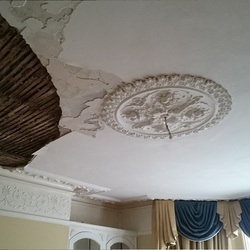 Our Plaster coving shop specialising in period plaster coving with collections of elegant Victorian plaster cornice designs and profiles, ceiling roses, dados and decorative coving mouldings, based in London UK. 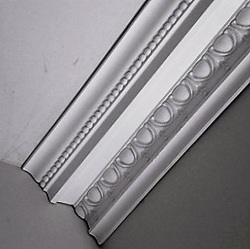 The London Coving Shop stands the foremost plaster mouldings and coving supplier in the UK. Buy outstanding quality coving handmade in our plaster coving shop in London UK. 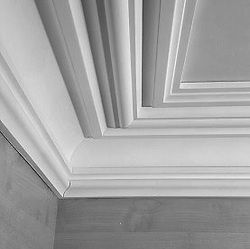 Finest coving suppliers in the UK, providing period plaster cornice, dados, ceiling roses and bespoke made plaster mouldings. 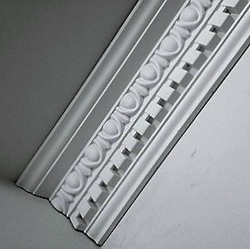 We do matching any period decorative coving, and we can re-produce period profiles plaster cornicing to match your existing plaster mouldings. 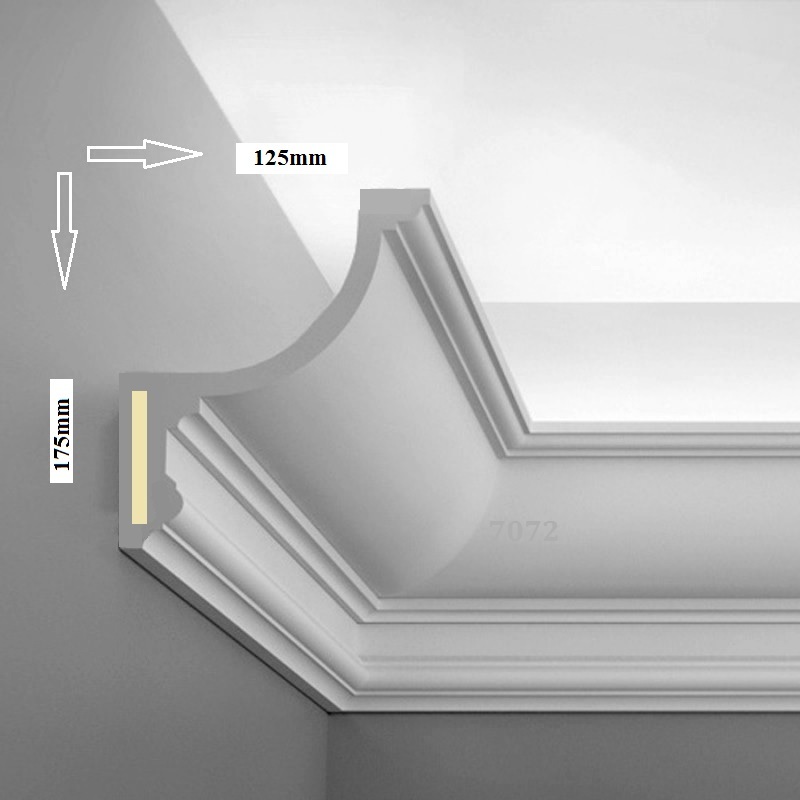 Coving Shop Ltd is the UK’s nationwide range standards for excellence in period plaster mouldings, updating constantly in knowledge, materials and design. The result is a comprehensive and complete collection by and for adoring specialists. 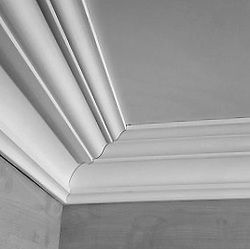 From coving and ceiling roses shapes to multinational profiles and cornice mouldings, with Decor Mouldings Ltd you can make every room of your home exclusive. Our Coving shop is the leading coving manufacturer in London UK. 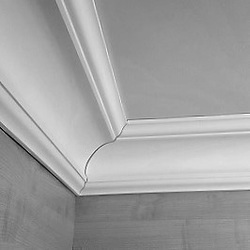 Major coving suppliers in plaster coving, plaster cornices, ceiling roses, dados and picture rails, corbels with full range of decorative plaster mouldings, to bespoke and period situ cornicing.